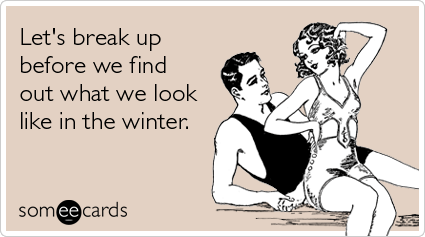 Regardless of the whacky weather, it is almost summer time and what better time for a casual relationship? Let’s look at some of the reasons why participating in a summer fling is perfectly acceptable and may be the right relationship status for you this season. Like Mary J Blige — we don’t like drama, at least not in our romantic relationships. Licensed dating expert Katy Jones wrote that one of the most appealing things about flings is “never having to explain yourself.” It makes sense, considering your partner isn’t actually your boyfriend or girlfriend. If you’ve been single for a while, the opportunity to no longer be alone may be enough to lead you running right into the arms of your summer fling. "Gossip Girl" and "One Tree Hill" may have gotten it right when they both quoted that “the best way to get over someone is get under someone else.” I mean, that would never work for me, but you do your thing. Maybe you were cooped up in a long relationship and you’re newly single, so the thought of pairing off with someone just for kicks and giggles is appealing to you. In some way, we need that kind of thrill and enthusiasm to be infused into our lives. Why not get it from another person? Maybe casual dating is the next step for you to discover who you’re compatible with. Maybe in the midst of hooking up, you’ll realize that you want more, that you’re afraid of commitment, or that you’re not ready to be in any kind of romantic relationship at the moment. But how else will you know? If you’re anything like me, you become bored easily with just about everything. Knowing that your relationship will expire soon might be the perfect way to receive all of the perks of hooking up while remaining commitment-free. Finally, you get the crush or friend you’ve been pining for! If you’re not too afraid of ruining a friendship, get cozy with one of your buddies. You two already have history, aren’t awkward around each other and may be able to transition back into a friendship after summer has ended. The last reason a summer fling might be right for you is the fact that you’re very much single. Enough said. Photos by thingsaboutlove.com and someecards.com.